Connect. Inspire. Impact. 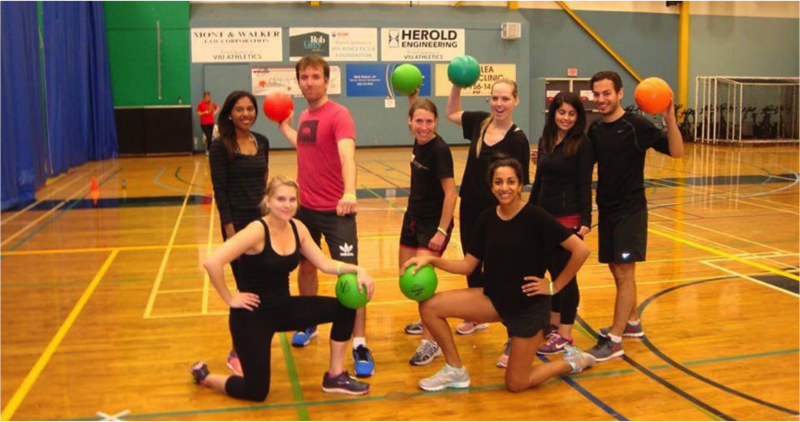 That was the theme of this year’s inaugural BC MBA games held in Nanaimo, BC, organized by Omar Karim and Vancouver Island University (VIU). Overall, the weekend was seamless and the VIU organizers did a phenomenal job making sure that every piece of the puzzle was in place. Given the event took place 6 weeks into the program, we were under pressure to assemble and prepare quickly. We managed to get 14 talented students from the MBA, MOT, and part-time cohorts to participate. The Friday of the games finally arrived and Team SFU made their way to Horseshoe Bay. Coincidentally, we managed to get on the same bus as some of the UBC competitors, so relationships were able to form from the moment we left the Segal building. We arrived at the hotel and checked into our rooms before being shuttled up to the VIU campus for opening ceremony. We were treated by our gracious hosts to a delicious meal and amazing entertainment by the Vancouver Drum Cafe. The Drum Cafe performance was one of the highlights of the weekend and was entertaining and interactive. Team captains introduced their schools, and the Mayor of Nanaimo made a special speech to commence the games. Following the opening ceremonies we were transferred back to the hotel where we mingled with other students and prepared for the events. The first case was Strategy and Marketing and was released at 9:30pm, so while the 4 members of the case began to prepare, the remaining 10 participated in the fun filled night of social activities that the VIU organizers put together, including frequenting some of Nanaimo’s hottest spots. Day 2 started early to say the least, with the Marketing and Strategy case submission at 9 am and the intense dodgeball tournament at 8 am. Both teams tried their hardest and came up short of victory, but thoroughly enjoyed the experience nonetheless. Following the case and tournament, we took a bus to the university’s campus to watch a presentation on Autism Spectrum Disorder. 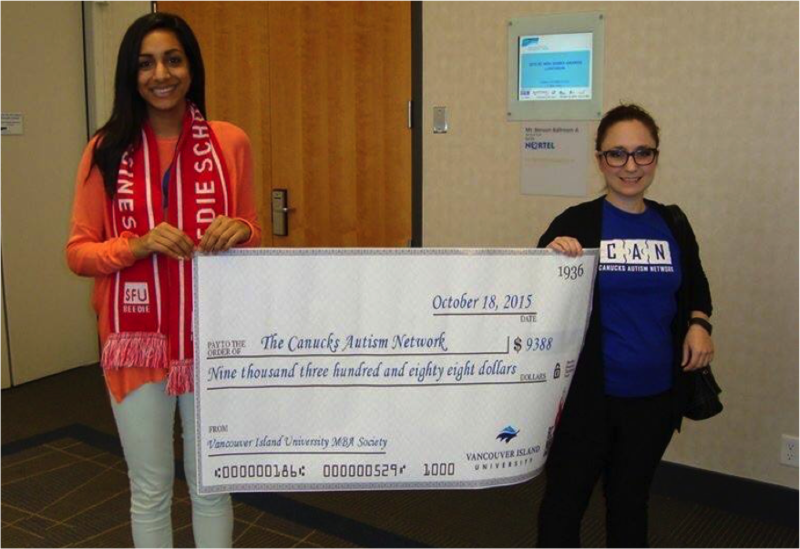 The presentation was informative and engaging and the ticket sales associated with the event raised $750 for the Autism Society of British Columbia. Following the event, we had a quick wardrobe change and prepared to network, donning our finest business attire. At the event each participant was given a puzzle piece and instructed to find their counterpart. Here we were able to mix and mingle with all the competitors from the four participating universities. After the networking event we walked back to the hotel and enjoyed a delicious meal as we patiently awaited for the Pecha Kucha presentations to begin. With limited time to prepare, the members were not sure what to expect. However, being the skilled storytellers they are, they knocked their presentation out of the park and wowed the crowd and judges. After several presentations, the team captains were surprised with the task of creating an impromptu Pecha Kucha presentation. Each captain was able to add their own expertise and together they created a wonderful presentation highlighting the theme of Connect, Inspire and Impact. The next morning the Social Media and Finance case team assembled bright and early at 6:45am. The case was to be released around the corner from the hotel at Square One at 7am, but due to technical difficulties, was sent out at 7:30am. With two hours to prepare a case about the BC MBA Games catering company, Coco, the team managed to pull together a presentation that covered the summary, risks, proposed strategies, financial statements and recommendations, and a strong conclusion by 9:29:45am on the dot! 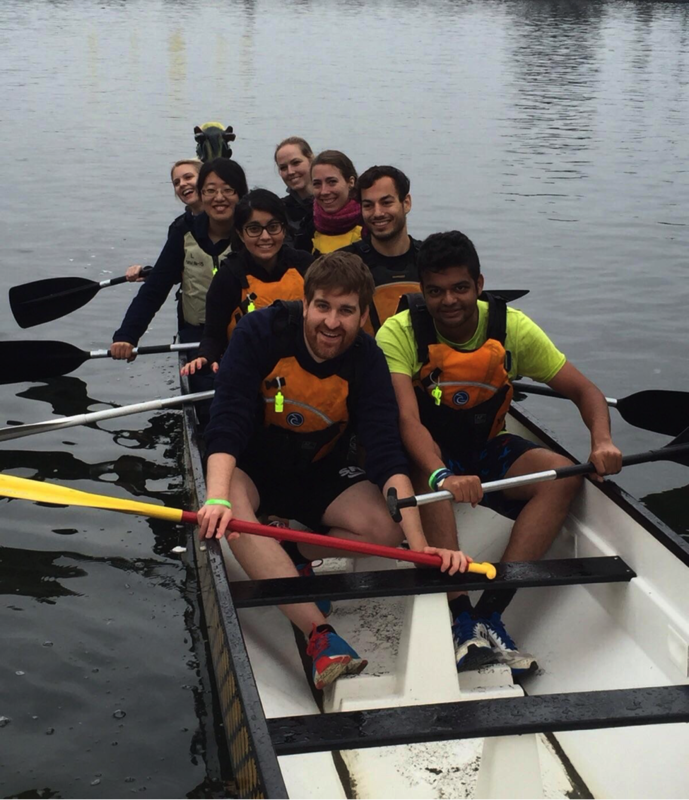 Concurrently, the other members not involved in the case were paddling in the dragon boat competition, trying to overpower the teams from the other universities. With a few splashes and a great effort, SFU was able to come out victorious in their minds and hearts. It was now Sunday afternoon and all that was left was to check out of the hotel and proceed to the closing ceremonies. We packed our bags adorned our necks with our Beedie scarves. Once again, VIU was able to pull off an amazing meal with keynote speaker Nabil Karim, an anchor and reporter on TSN’s SportsCentre and SFU alum. We listened to a few inspirational speeches, unveiled a cheque to the Canucks Autism Network for over $9000, and waited patiently to hear the results of the games. Overall, SFU did their best in sports and strategy, but was defeated by UBC and VIU. Last to be announced was the Social Enterprise and Finance competition. VIU came in second, but was disqualified for revealing their school in their presentation. UBC replaced them for second place, which potentially pushed SFU further to the bottom of the leaderboard. With baited breath, the fourteen SFU competitors anxiously awaited to see who won the first place spot. Would it be UVic with their professional slides and flashy presentation, or UBC who won the strategy competition? “Congratulations, goes to…SFU!” I could have jumped out of my seat in excitement. 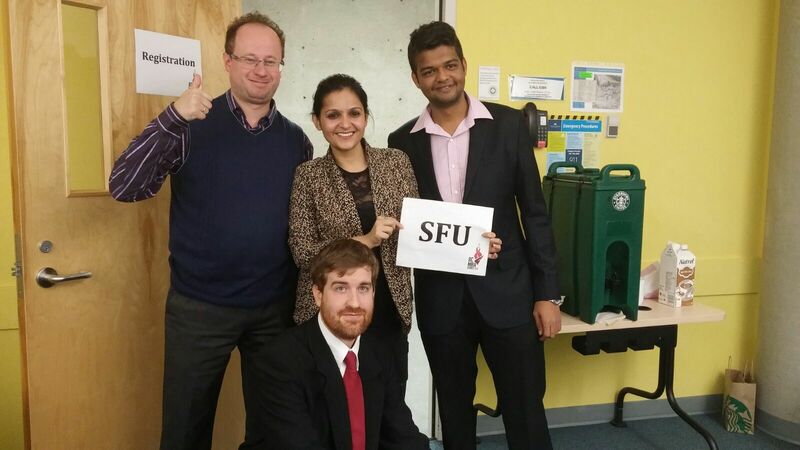 SFU was able to come together as a team, share their strengths and win a very important and special case. The experience embodied the weekend and left the team with feelings of pride and success. And just as fast as it started, it was time to grab one last group photo and head for the ferry. The experience we had, the challenges we faced and overcame, were nothing compared to the relationships we were able to build with UVic, UBC, VIU and TRU. 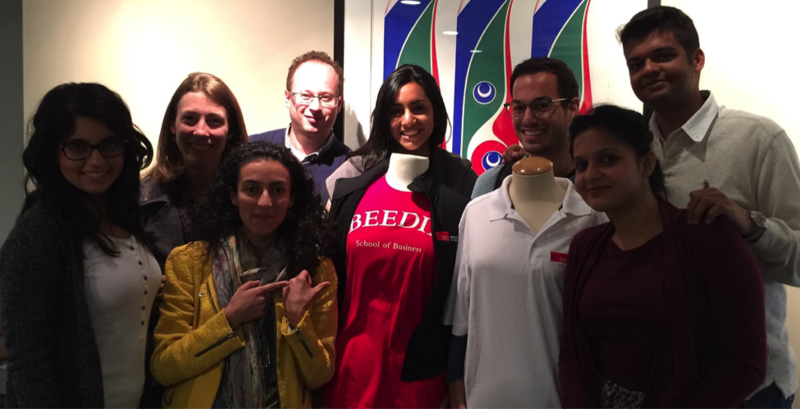 Each student put their all into every aspect of the BC MBA games and we all came out victorious. 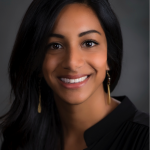 Zainab Malik is a full-time MBA student at the Beedie School of Business. 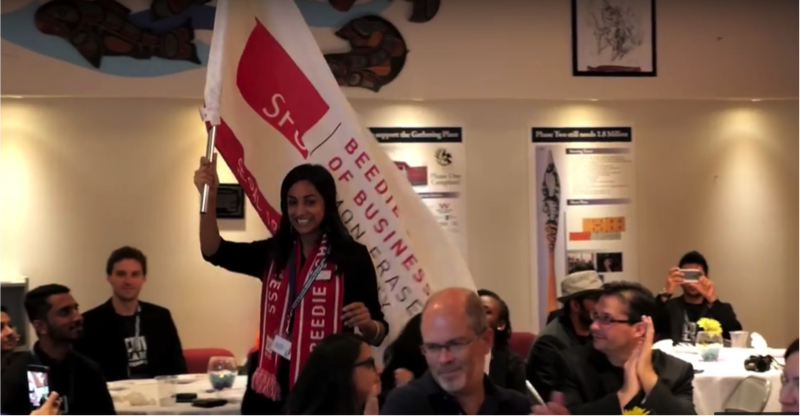 She is the President of The Graduate Business Student’s Association, Captain of the BC MBA Games, and member of?Beedie’s Graduate Business Women’s Council. Her background is in?Education and Hospitality?& Tourism. Her interests are in?Social Enterprise,?entrepreneurship and global business, and she was a member of the winning?Social Enterprise/Finance case at the BC MBA Games 2016.?Connect with Zainab on LinkedIn.